The U.S. Environmental Protection Agency (EPA) finally concluded January 12, 2017, a ten-year effort to issue a Toxic Substances Control Act (TSCA) Section 8(a) rule establishing reporting and recordkeeping requirements for certain discrete forms of chemical substances manufactured or processed at nanoscale. This column summarizes the rule. Reports are due to the EPA no later than May 12, 2018. The final rule is effective May 12, 2017. Existing chemical substances manufactured or processed at the nanoscale for commercial purposes for use as a component of a mixture, encapsulated material, or composite are subject to the rule. “Chemical substances” are solids at 25ºC and standard atmospheric pressure; are manufactured or processed in a form where any particles, including aggregates and agglomerates, range in size from 1–100 nanometers (nm) in at least one dimension; and are manufactured or processed to exhibit a unique and novel property. 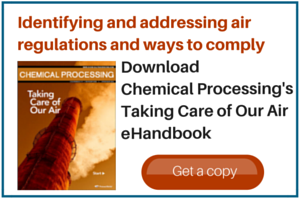 The rule requires one-time reporting of chemical identity; actual or anticipated production volume; methods of manufacture and processing; use, exposure and release information; and available health and safety information. Any person required to report under the rule must supply the information identified in the EPA’s form to the extent it is known or reasonably ascertainable by the person, a standard that is unclear. Reportable chemical substances don’t include those manufactured or processed at nanoscale that contain incidental amounts of particles in the 1–100-nm size range; certain biological materials; chemicals that dissociate completely in water to form ions less than 1 nm in size; and chemicals formed at nanoscale as part of a film on a surface. Importantly, the final rule uses a numerical value of less than 1% of particles from 1–100 nm by weight to define those chemical substances that aren’t reportable. General exemptions to TSCA Section 8(a) reporting at 40 C.F.R. Section 704.5 are applicable to the rule, including the research and development exemption. There also is an exemption from reporting for TSCA Section 8(a) rules for small manufacturers and processors (sales of less than $11 million per year). Other reporting exceptions apply. Persons who manufacture or process a discrete form of a reportable chemical substance at any time during the three years prior to May 12, 2017, must report electronically to the EPA by May 12, 2018. There is a standing one-time reporting requirement for persons who intend to manufacture or process a new discrete form of a reportable existing chemical substance on or after the effective date of the rule; persons are required to report to the EPA at least 135 days before manufacture or processing that discrete form, except where the person hasn’t formed an intent to manufacture or process a discrete form of a reportable chemical substance 135 days before such manufacturing or processing. In those cases, the information must be filed within 30 days of forming such an intent. This is an important new rule. Clarity is needed on the reasonably ascertainable standard, generic chemical names to protect confidential chemical identities, and related topics. Guidance, which the EPA has promised to provide, is particularly important given the rule applies to manufacturers and processors, the latter category not generally subject to previous TSCA Section 8(a) reporting requirements. Failure to timely report can incur costly penalties so care should be taken to know, understand, and comply with this new reporting obligation.